Customizable dog ID tags featuring beautiful dog portraits. Add you dog's name to the front and address details on the back. 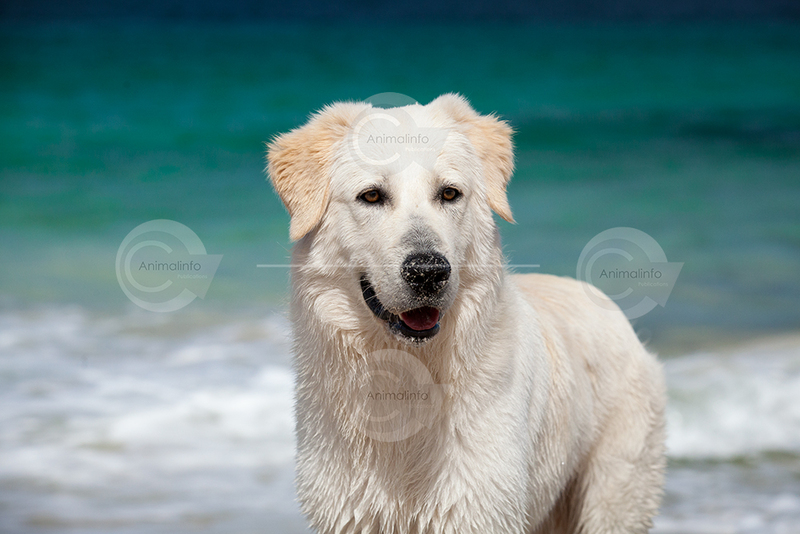 Close up head and shoulders portrait of a Maremma sheepdog at the beach with blue ocean and surf in the background.